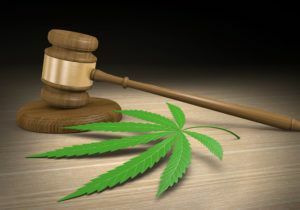 A lawsuit that seeks marijuana legalization nationwide through the courts will face one of its first major hurdles Wednesday, when attorneys present oral arguments to halt the U.S. Department of Justice’s bid to dismiss the case. The suit, filed in July by a collection of plaintiffs that range from a retired NFL player to a young epileptic girl, argues that the Controlled Substances Act of 1970 is unconstitutional and asks that cannabis be removed from the schedule of controlled narcotics. If a New York state U.S. district court judge rules that the case can move forward, the suit could go to trial within another six months, said attorney Lauren Rudick, one of the lawyers representing the plaintiffs. Rudick indicated, however, that her team could be in for a lengthy fight. “Shortest, we go to trial within the next three to six months,” Rudick told Marijuana Business Daily. That means the case could drag on well into 2019 if not 2020 or beyond. If the plaintiffs were to ultimately win, it would result in a de facto national legalization of cannabis by removing the drug from the list of federally controlled substances. Regulation of the MJ industry would still be left to the states, unless Congress acts in the wake of a court ruling to further change national cannabis laws. Interstate shipping would probably still be banned unless specific states begin changing their laws to allow such moves. But first comes the hearing Wednesday. “We think that the court is gearing up to hear this action,” she added. Decriminalize and deregulate. Criminalize government and those persons who make the rules. The government that governs least governs best. Wouldn’t this result in de-facto decriminilization of all drugs? If the Controlled Substances Act is being challenged as unconstitutional, and a court (likely an appeals court, as the article states) strikes the law down, that would remove not just cannabis, but also heroin and LSD (schedule 1), cocaine and methamphetamine (schedule 2) and so on. I am in favor of decriminalizing all drugs, but I don’t understand why this article is saying that only cannabis may be decriminalized nationally as a potential result of this lawsuit. It worked in Canada.. God’s speed folks..